Cameron's Beach Campground has been hosting families like yours since 1945! ​ Located on beautiful "Big Nellie Lake" in Northeastern Ontario. Want to get to us quickly and easily? No problem! We are only 2 km off of Highway 11 with a paved road running right to our gated entrance. Cameron's Beach is only 10 minutes from Iroquois Falls, 30 minutes from Cochrane and 45 minutes from Timmins. We are centrally located. Big Nellie Lake was formed by the Ice Age, is a luscious spring-fed lake with crystal clear water. The water in Big Nellie Lake is very clean and drinkable. The clean, natural sandy beach separate the sparkling waters from the park. Lake Trout spawn here naturally and also has a diversity of fish including Northern Pike, Bass and Walleye. In the evening you may watch the loons feeding and hear them sing you a tune, along with many sounds of nature! Proud Member of Camping In Ontario. Do you have a favorite campsite? Contact us here to verify availability! Call/Email our office to make your reservations. (It is best to reserve ahead if travelling or wish to camp on weekends/long weekends to ensure you will have a spot!) Campers must be a minimum of 21 years old to reserve a site. 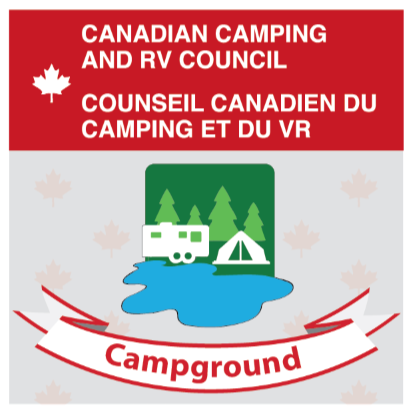 2019 Cameron's Beach Campground Rates and Camping Season Dates! Cameron's Beach has it all from basic power/water tent sites all the way up to our popular Premium full-hookup section. But space is LIMITED! Browse your options here! Overnight/Weekend Camping are the ORANGE sites.